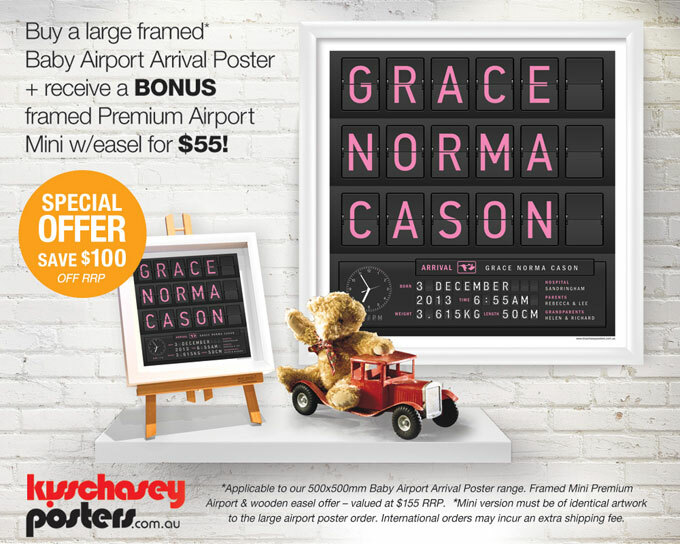 Purchase your very own large Framed Baby Airport Arrival Poster and receive a BONUS framed 'mini' version with easel for only $55 extra, normally valued at rrp $155! T&C's apply: Applicable to our 500 x 500 Baby Airport Arrival Poster range. 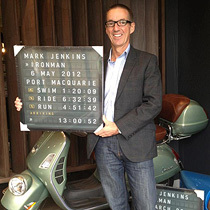 Framed Mini Airport & wooden easel - valued at $155 RRP. Mini Version must be identical artwork to the large airport poster order. International orders may incur additional postage fees.